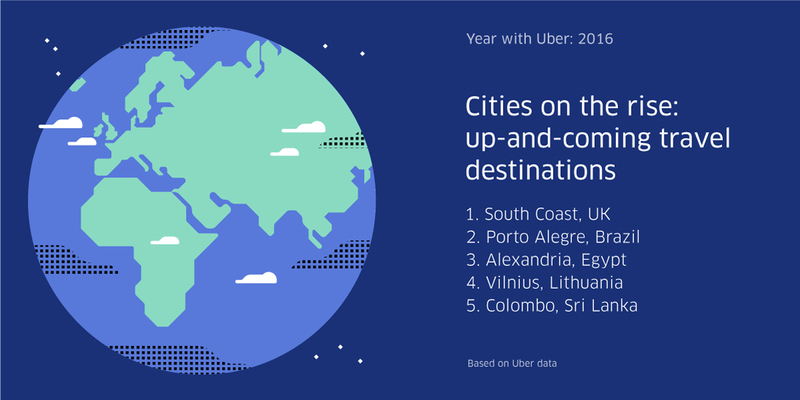 This year, the world took Uber to get where they needed to go. Whether it was to get to the hospital for a surprise special delivery, across town for family dinner, or through a new city on the other side of the world, we hope you enjoyed the ride. 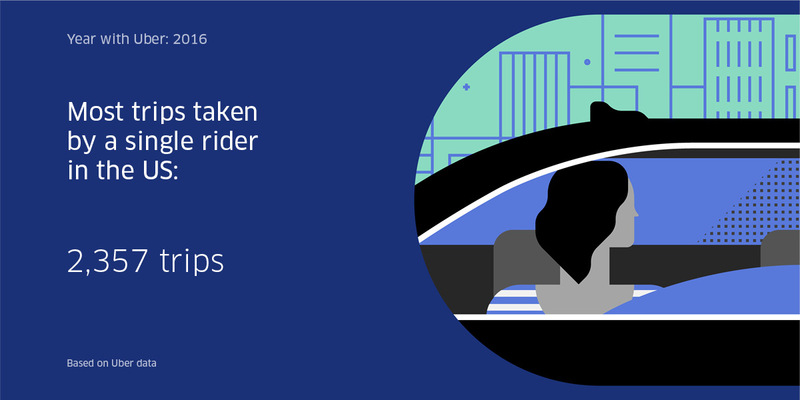 To say thank you and to celebrate our riders and drivers in 2016, we’re taking a look back at how you used Uber this year. Check it out – what you learn may surprise you. 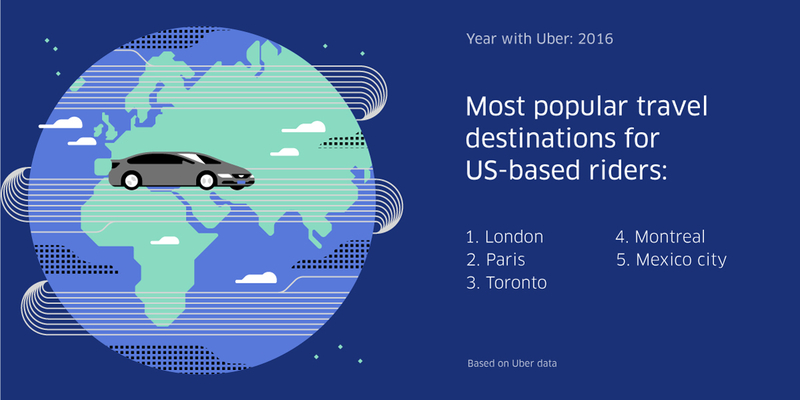 When do Uber riders travel the most? US-based riders are night owls. 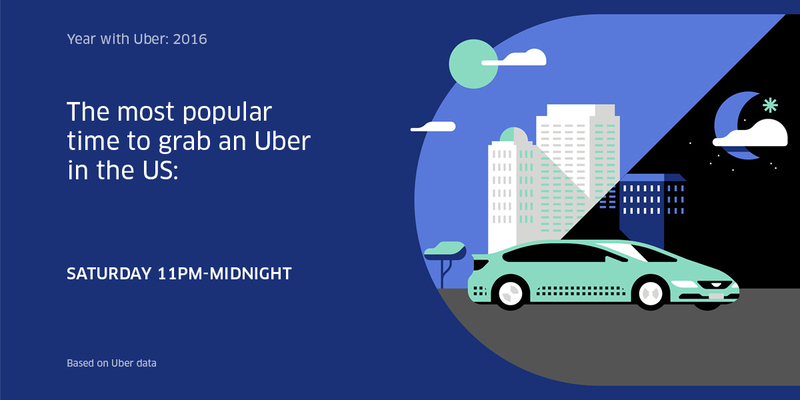 They use Uber most frequently on Saturdays between 11 p.m. – midnight. Riders were busy this year. The most trips taken by a single rider in the US was 2,357 trips. That’s about 6 trips per day! Thank you for a great 2016 – we’re looking forward to more surprises in the year to come.